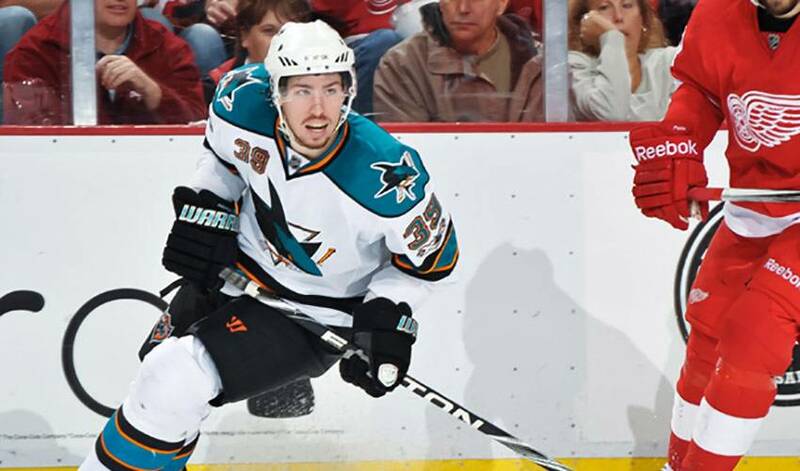 It wasn't just the Detroit Red Wings that Logan Couture was battling during the deciding game of their Western Conference semifinal clash. You can't really blame the 22-year-old kid from southwestern Ontario for feeling a little on edge throughout San Jose's Game Seven tilt against a perennial Cup contender. Add the fact that San Jose had watched a three games to none edge evaporate, they were playing in front of a boisterous home crowd and knowing a loss would be among the toughest he's had to contend with, and Couture was understandably a bit overwhelmed at times. But you'd never know it by the way he played in what turned out to be a 3-2 Sharks win, a victory that vaulted them into the West final against the No. 1 seeded Vancouver Canucks. Up by a goal late, the Sharks were able to fend off the Red Wings to seal the victory, one of the biggest in franchise history. Couture has definitely been a huge help in San Jose's playoff push, a team that has traditionally had strong regular seasons, but has been unable to match that success in the playoffs and reach their ultimate goal, the Stanley Cup. The ninth overall selection in the 2007 NHL Entry Draft, Couture has been a consistent contributor throughout the 2010-11 calendar. It's by no means a surprise to any to see Couture excel at hockey's top level. As a rookie for the Ottawa 67's of the Ontario Hockey League in 2005-06, Couture recorded 64 points in 65 games, third in league rookie scoring behind fellow current-NHLPA members John Tavares (Oshawa Generals) and Sergei Kostitsyn (London Knights). He was added to the OHL roster for the 2006 Canada-Russia Challenge, replacing Jordan Staal, who was retained by Pittsburgh Penguins. One year later, Couture was selected to play for the Eastern Conference in the 2007 OHL All-Star Game, winning the shooting accuracy competition. In his second junior campaign, he improved to 78 points in 54 games. Couture made his NHL debut on October 25, 2009, against the Philadelphia Flyers. He scored his first NHL goal less than two weeks later against Detroit. On April 22, 2010 Couture scored his first two playoff goals against the Colorado Avalanche in the first round of the Stanley Cup Playoffs. He played an integral role on the American Hockey League's Worcester Sharks' 2009-10 squad, notching 20 goals and 33 assists for 53 points in 0\only 4 2games. He led the league with nine game-winning goals and was named to the AHL all-rookie team. He was voted onto the AHL all-star starting line-up for AHL Team Canada, and finished the game with a goal and two assists, along with a shoot-out goal. “It's hard to imagine that one day you're dreaming about what it would be like to be in the NHL and then you find yourself there,” said Couture, who was named NHL Rookie of the Month for December of 2010. It would be even better, he admits, if he could raise the Stanley Cup aloft. And even in the moments when his nerves are tested, Logan Couture can always be counted on to deliver when the game is on the line.